Maybe it is too early to make Mother's Day card. 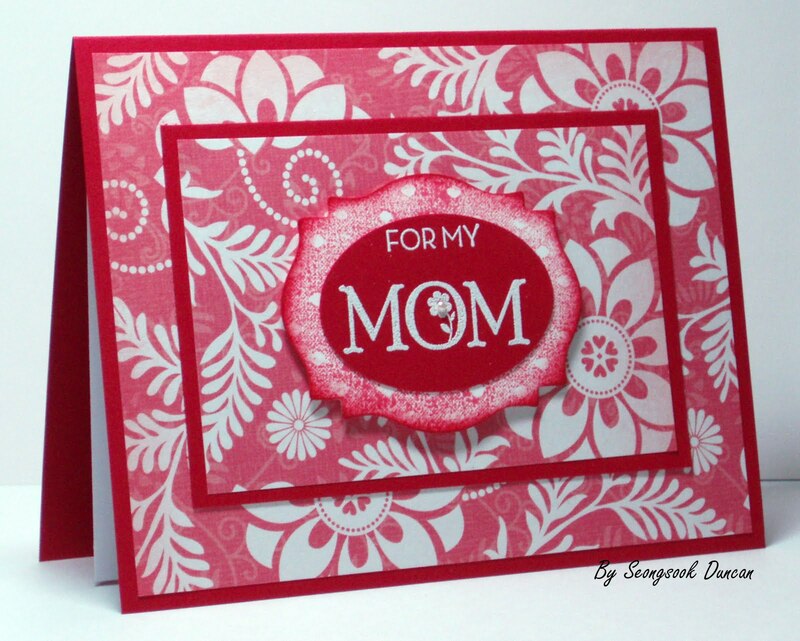 I just thought this paper would go well with Mom's card. This is one of papers that I received from Pam. This card is just showing you how to use up your designer paper stashes by layering as if triple stamping technique. Don’t we all have a lot of designer paper stashes? One of my OWH cardmaker friends liked this card and asked me what are the measurements. For your tip, here are my measurements and how to if you want to try, too. You can substitute this layer with embossed cardstock per your choice. You will have 8 pieces cut out of this size from one cardstock without left over. You will have 8 pieces cut out of this size from one cardstock by cutting 8” x 10” first. Left overs can be used for sentiment. Beautiful DP and a beautiful card!